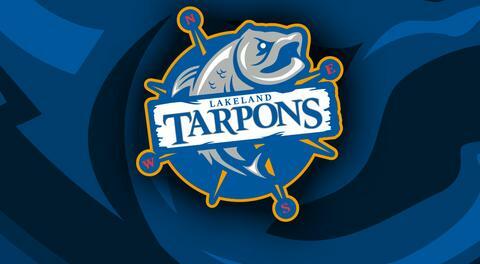 LAKELAND – The single player most synonymous with the success of the Florida Tarpons will be back on the field when the team kicks off it's seventh season of play next spring in Lakeland. 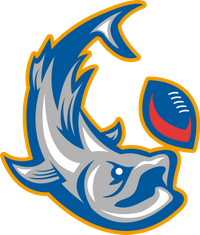 Chris Wallace has been signed to once again lead the Tarpons at quarterback, according to team president and coach Michael Taylor. This will be Wallace's 18th year of professional arena football, including four years in the Arena Football League, primarily with the Orlando Predators, along with stops with the New Orleans Voodoo and Pittsburgh Power, In the AFL, he threw for 1,283 yards, with 19 touchdowns. In eight years with the Florida Firecats, he rewrote the af2 league record book, where he threw for more than 22,000 yards. In 2008,. he broke the league record for career touchdowns (484) and passes completed (1,797), and set the league mark for total yardage a season later. He started his professional career in af2 with the Carolina Rhinos in 2000. He played for the Tarpons in 2012-13 and again since the 2015 season. He was the starting quarterback on the team's two championship teams, in 2013 in UIFL and in 2015 in the X-League when they defeated Lakeland, 65-23. The team has played for the last six seasons in Fort Myers, and has relocated to Lakeland for the 2018 American Arena League campaign. They have played for five league championships in that time, and have never missed the playoffs. Taylor said inking Wallace was key to keeping the Tarpons success going. Florida will play a nine-game regular season starting with road games March 17 and 24 before its home opener April 14 when they host the Richmond Roughriders. The two teams played in Richmond last June for the league championship, with the Roughriders sealing the win on the last play of the game. For more information, visit www.floridatarpons.com.